A push-button is a switch in the shape of a small button or knob. When it is pushed it completes an electrical circuit that controls something. For example a doorbell rings when a person pushes a button, or numbers are displayed on a calculator. 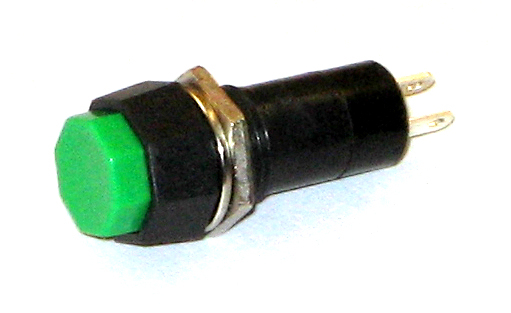 Schematic Button shaped as an octagon. Push-button Facts for Kids. Kiddle Encyclopedia.